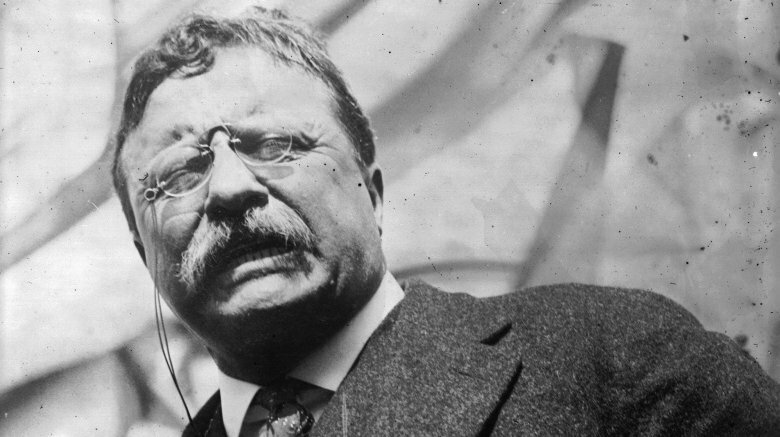 Just how badass was Teddy Roosevelt? 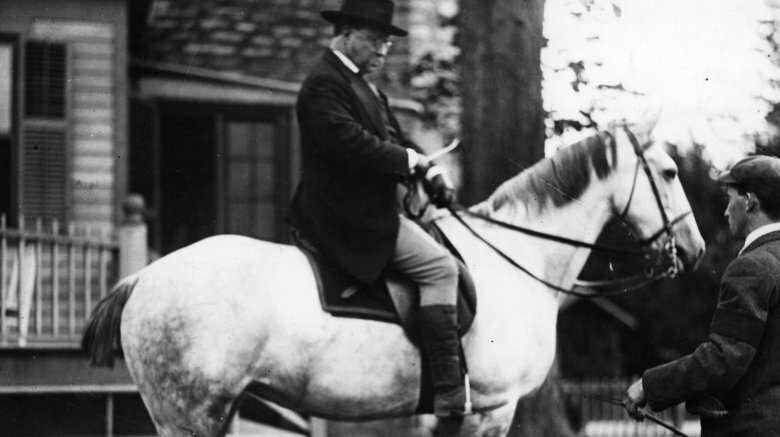 Try this on for size: in the midst of his third bid to become president of the United States, Roosevelt was actually shot on his way to give a campaign speech in Milwaukee, Wisconsin. According to The Smithsonian, the assailant, John Schrank, fired a gun at Roosevelt's chest. 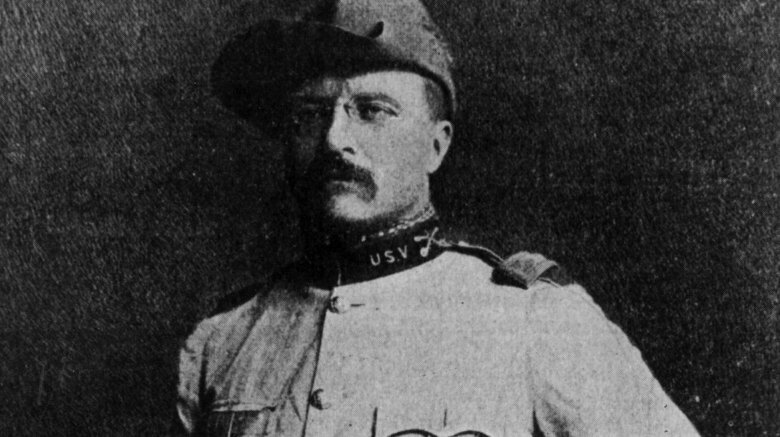 The bullet, however, was luckily slowed by the 50-page manuscript and spectacles case that Roosevelt kept in his breast pocket. Remarkably, Roosevelt actually decided to go forward with his speech, due mostly to his past experiences with guns. Even though he ultimately lost the election, Roosevelt's speech would go on to become the stuff political legend, not just because of its content, but because it literally saved his life. 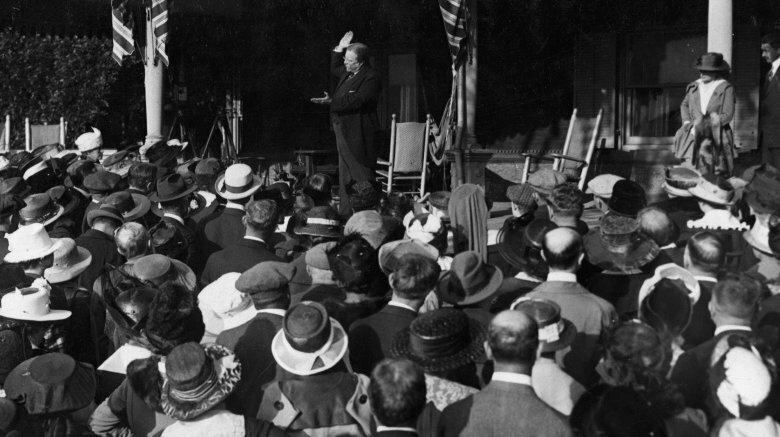 "Friends, I shall ask you to be as quiet as possible," he said to the crowd upon arrival (via the Theodore Roosevelt Association). "I don't know whether you fully understand that I have just been shot; but it takes more than that to kill a Bull Moose. But fortunately I had my manuscript, so you see I was going to make a long speech, and there is a bullet—there is where the bullet went through—and it probably saved me from it going into my heart. The bullet is in me now, so that I cannot make a very long speech, but I will try my best." Talk about earning an A for Effort. From a very early age, Roosevelt developed a knack for boxing, initially inspired as a form of self defense. According to Vice, Theodore Roosevelt's passion for boxing carried through his days at Harvard University and continued even after he was elected president of the United States. "He lined the White House basement with training mats, and he practiced with anyone who was willing to tussle—including his wife and sister-in-law …" wrote MentalFloss. "He voluntarily subjected himself to a staggering number of brutal sparring sessions with championship-caliber fighters. 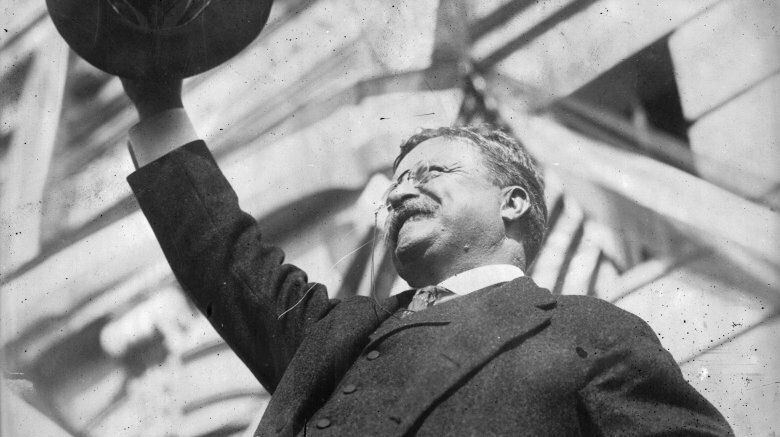 Boxers; wrestlers; martial artists—it didn't matter to Roosevelt. If they'd be willing to punch him in the face or pin him to the ground, he'd take them on. He felt it was the only way he could maintain his 'natural body prowess.'" Sadly for Roosevelt, his love of fighting ultimately had a downside. As Vice points out, a fight inside the White House with a military aide half his age left him blind in the left eye since 1905. According to The White House Historical Association, the president's residence had been colloquially referred to as "The White House" since the early 1800s. Officially speaking, however, it was called the Executive Mansion. Boring, right? Well, that changed with ol' Teddy. According to The White House Museum, Roosevelt is actually credited with making the nickname "The White House" official in 1901, all by including it on his presidential stationary. Meanwhile, the only good most of us ever get from using stationary is leaving notes on the fridge to buy more milk. Have you ever visited the Grand Canyon and thought to yourself, "Wow, this is totally cool. Good thing nobody came in, tore it down and turned it into a shopping mall"? Well, you have Roosevelt to thank for that. According to History.com, Roosevelt put the Grand Canyon under public protection by declaring it a national monument in 1908. His plan to make it a national monument dates back to 1903. Roosevelt made history on December 10, 1906, by becoming the first president of the United States to win the Nobel Peace Prize. 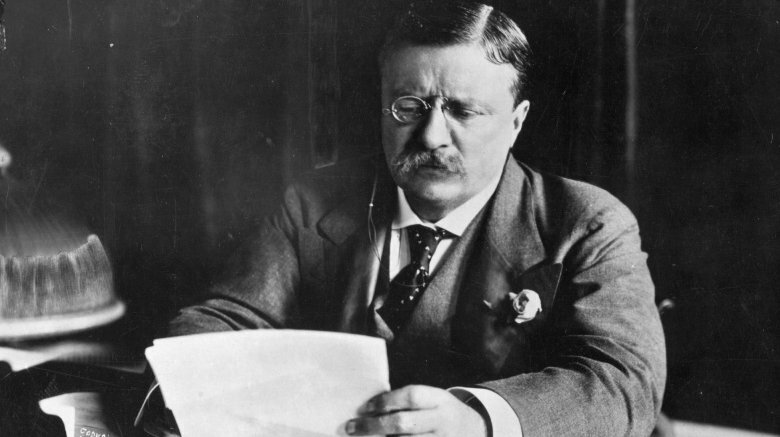 According to the Theodore Roosevelt Center, Roosevelt was honored for his efforts to end the Russo-Japanese War through the Treaty of Portsmouth. Roosevelt later gave the prize money to Congress so that they could start the Industrial Peace Committee. Congress never actually followed through with the committee (shocker) so Roosevelt petitioned to get his cash back and donate it elsewhere. Three other U.S. presidents have been awarded the Nobel Peace Prize. Woodrow Wilson and Barack Obama were honored during their respective terms; Jimmy Carter was awarded decades later, in 2002. He was the first president to travel outside the U.S. 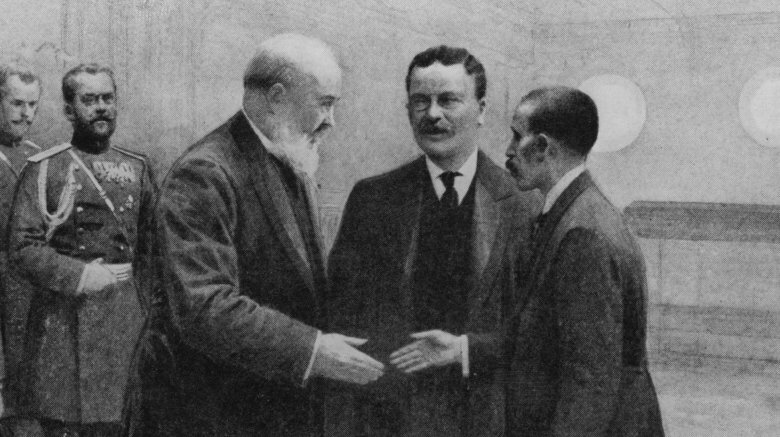 According to NPR, Roosevelt broke the long-standing tradition of American presidents remaining on home soil during their term to visit the Panama Canal by making a 17-day diplomatic tour to Panama and Puerto Rico in 1906. Roosevelt's trip to Panama was especially significant. At the time, the building of the Panama Canal was "floundering" due to "disease and construction mishaps," NPR reported. Roosevelt's presence helped turn things around, however, including a stunt that involved actually working the steam shovels himself. 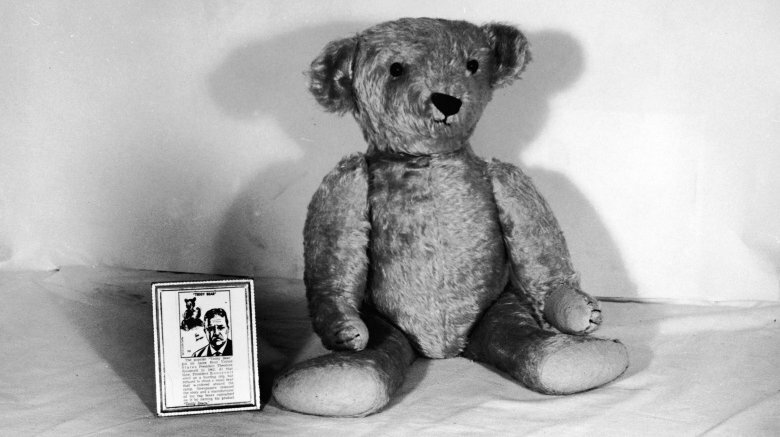 No, your parents weren't lying: the origin of the teddy bear does indeed date back to Roosevelt. According to the Theodore Roosevelt Association, a Brooklyn shop owner got the bright idea to make stuffed toy bears after catching a political cartoon drawn by Clifford Berryman, which poked fun at Roosevelt's refusal to shoot a black bear that had been previously attacked by dogs. The report says the shop owner actually got permission from Roosevelt to call the bears "Teddy's bears." See that? Dude can get shot, personally dig the Panama Canal, and still be cool with naming a kid's toy after him.